4th of July! Kids Activities and More! We have just a few more days until the 4th of July! I love this holiday! I enjoy celebrating our county and the freedoms our brave soldiers fought for us to have so very long ago, and still do to this day. Independence Day is a such a fun time to decorate your home, fire up the grill, have friends and family over, get out the water guns, and watch a fireworks display to end the day. It is also a wonderful opportunity to throw in some history for the kids so there is a deeper meaning for them so they can appreciate the country they live in and Independence Day even more. Join us for this #WeeklyKidChallenge, we will be decorating our home, making some fun crafts and food, watching some entertaining and educational videos, and learning what Independence Day truly is about. Below are links to some fantastic crafts, tutorials, and activities we will be working on this week. 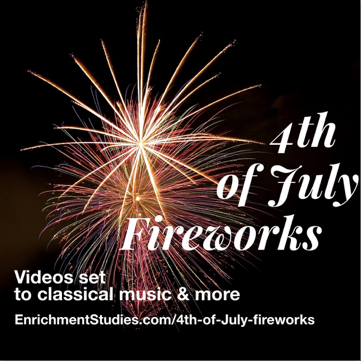 ⇒Erica, over at Enrichment Studies, has put together an enriching list of YouTube videos (Including the links) of the science behind fireworks and several awesome fireworks displays. She also some great freebies including coloring pages and some very insightful information, as well as more YouTube videos on our National Anthem. You must check it out! Your kids will have a lot of fun watching the videos and coloring. This is defiantly on our list for this week! CLICK HERE to go directly to her link. Make sure to check it out by CLICKING HERE. ⇒When you think of the 4th, what is one thing that comes to mind? ROCKETS! Sheila, at Brain Power Boy, has come up with just that. She has an outstanding tutorial for making rubber-band powered rockets with items you have in your home. This will definitely keep your kids (and pets) entertained for hours. CLICK HERE for the instructions. 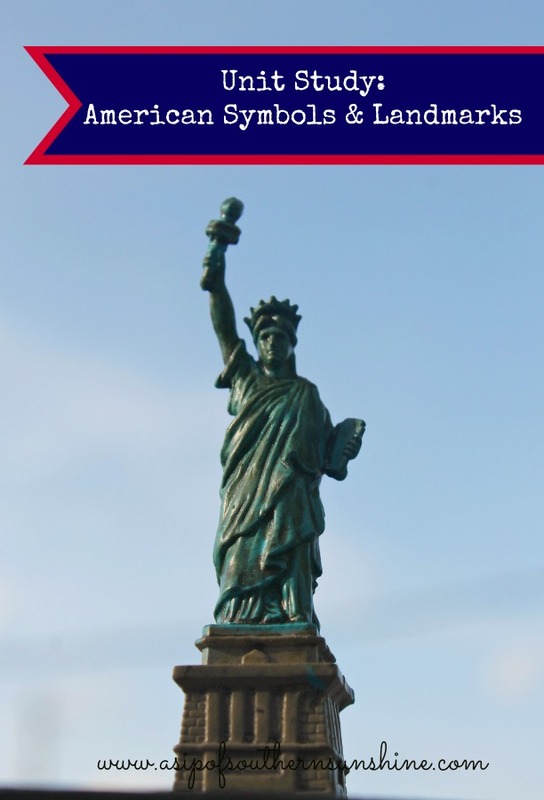 ⇒Another object that you may have thought of is Lady Liberty. 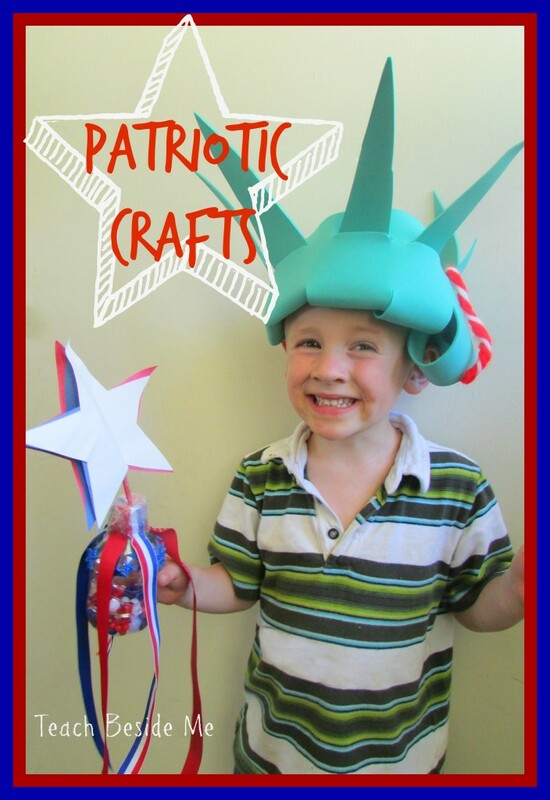 At Teach Beside Me, Karyn has a fabulous instruction on how to make Lady Liberty’s crown that your kids will love. How about a patriotic shaker decorated in red, white, and blue, and ready to get the music started? She has instructions for that, too. CLICK HERE to go to her page. 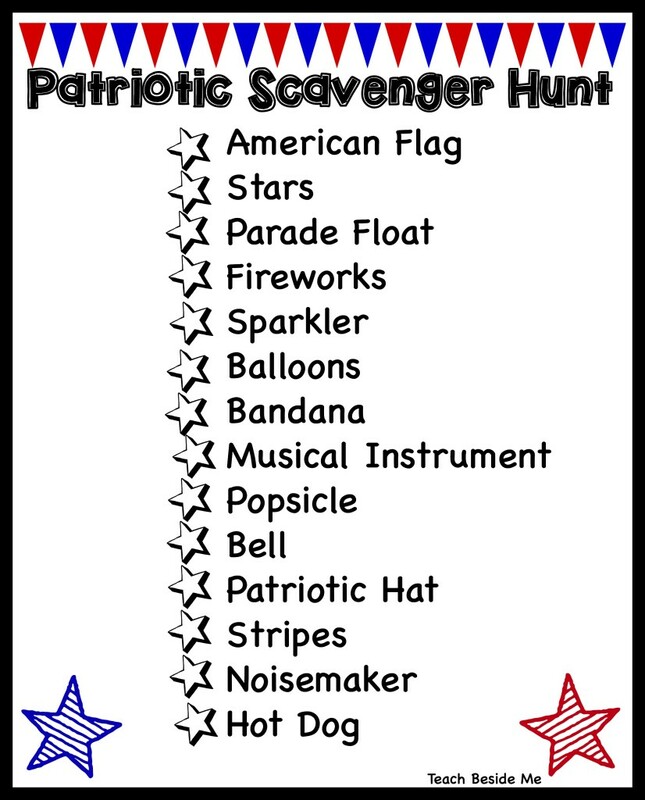 ⇒When your ready to take a break from making crafts and head outside, Karyn also has printable, patriotic scavenger hunt. CLICK HERE. ⇒I LOVE wreaths! I love having them and displaying them, but never have I attempted to make one. 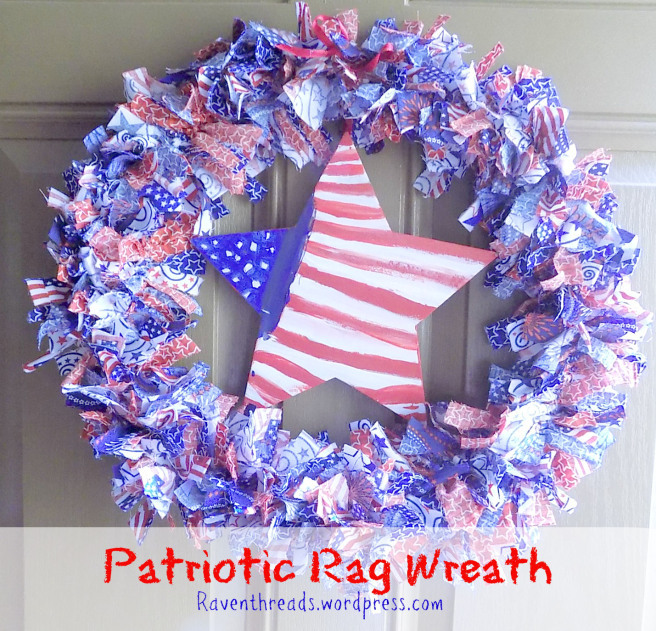 However, after seeing Rebecca’s tutorial on how to make a patriotic rag wreath on Raven Threads, I think I might actually be able to pull it off. This looks like a great project the family could work on together. For instructions, CLICK HERE. 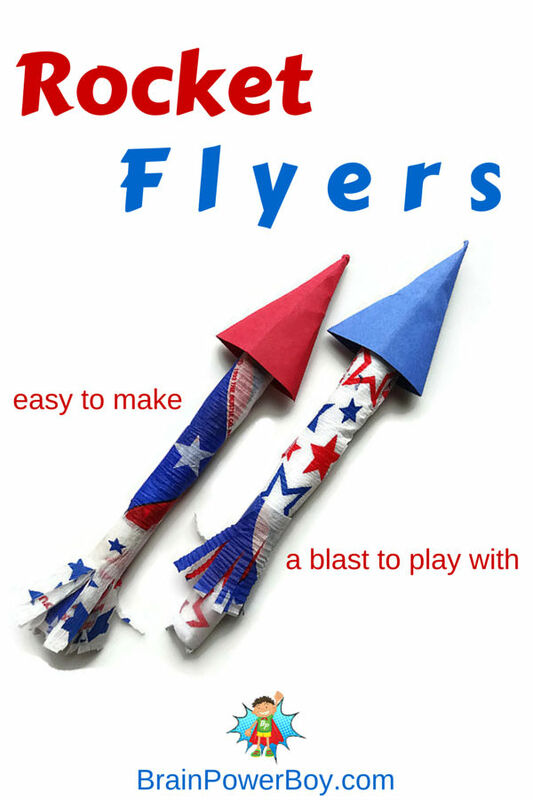 ⇒Julia, at My Mundane and Miraculous Life, has a clever 4th of July activity to help your little ones work on their fine motor skills. I wish I would have known about this when my kids were little. It is such a simple yet brilliant idea. CLICK HERE to check it out! ⇒At A Sip of Southern Sunshine, you will find an exciting unit study on American symbols and landmarks. She has listed a great collections of books to read, fun hands-on activities, and more to give your kids a more in-depth look into our history. To get started, CLICK HERE. 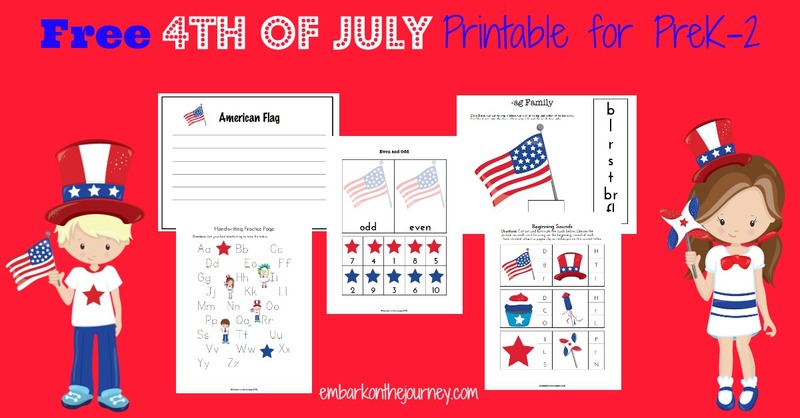 For more 4th of July crafts, activities, and food ideas, CLICK HERE. I hope you and your family have a blessed week and Independence Day! I want to say a special thanks to all the wonderful mommy bloggers listed above who so willingly let us into their world and bring us such fantastic craft and activity ideas to keep our little ones busy and engaged! Wondering what #WeeklyKidChanllenge is and why your should follow along? CLICK HERE to learn how it can be beneficial for your whole family. 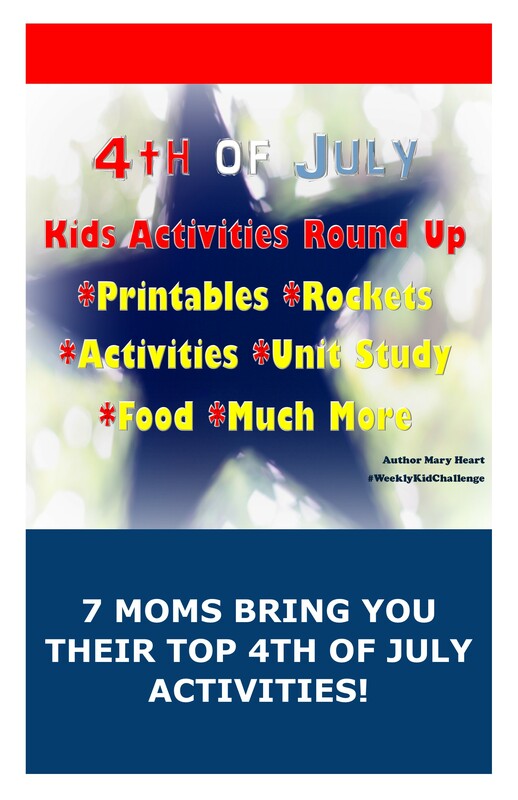 This entry was posted in 4th of July, children, coloring, food, Fourth of July, Home Schooling, Independence Day, kids, Parenting, printables, red white and blue, rockets, unit study, Weekly Kid Challenge and tagged Arts 'N Crafts, Freebies, Kids, Weekly Challenge. Manners, Compromise, Random Acts of Kindness and More!